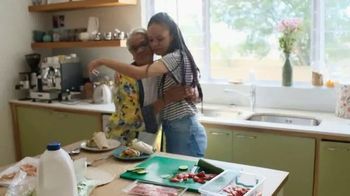 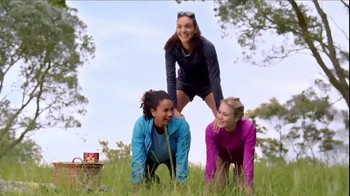 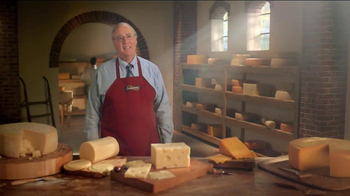 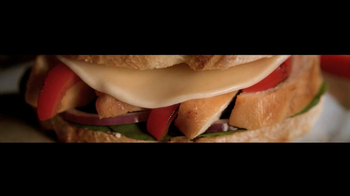 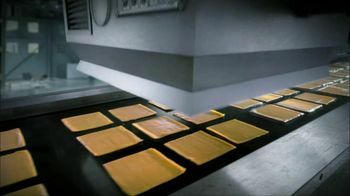 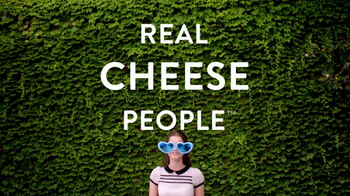 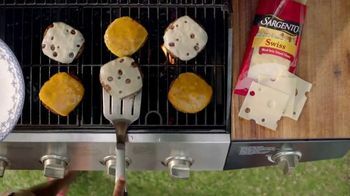 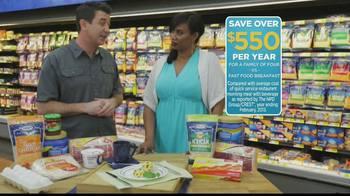 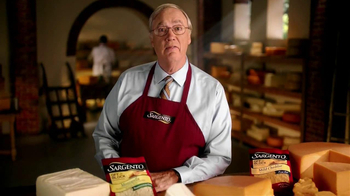 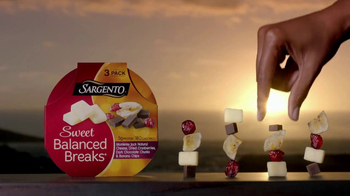 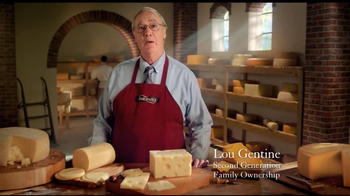 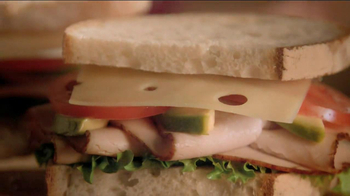 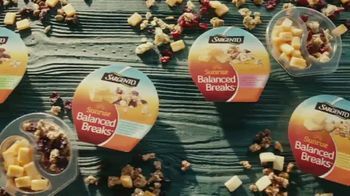 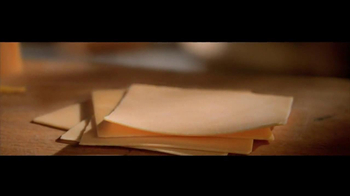 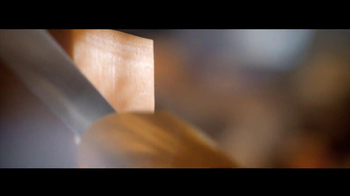 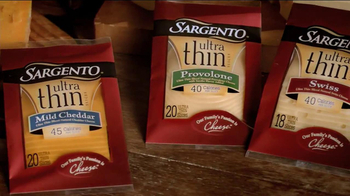 This commercial features one of the owners of Sargento cheese talking about their newest innovations. 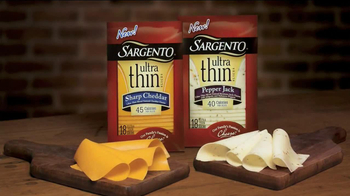 Now, Sargento has ultra thin mild cheddar cheese. 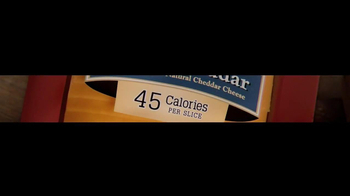 These tiny slices total up to just 45 calories.